Businesses need to focus on three key strategies for optimizing their mobile presence for making the most of the rapid growth in local commercially relevant search. The ability to match the intent indicated by keywords with user location is a powerful combination. 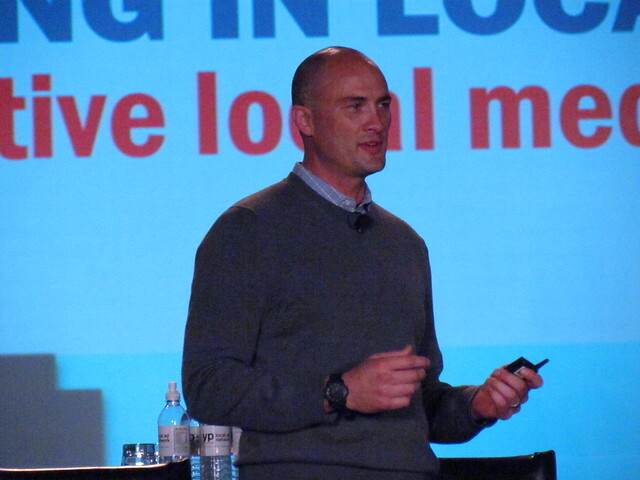 Today at BIA/Kelsey’s Leading in Local: Interactive Local Media conference, Brendon Kraham, Director of Global Mobile Solutions & Product Strategy, Google, began making his case by noting that 94 percent of mobile users search for local information, and 29 percent make a purchase in a store as a result. 1. Optimize for the customer’s location. Businesses should know where high value customers are, or not.For example, if San Francisco proper has the best customers and the East Bay not so much, then it makes it easier to bid deferentially (using Google Enhanced Campaigns). This kind of capability is table stakes, Kraham said. 2. Increase foot traffic to your business. Business need to use feature like location and call extensions to grease the skids and give someone a reason to choose you. The business that delivers the richest search experience gets the business. Kraham said he still sees way too many small business sites that are not mobile-optimized. 3. Engage customers at places of interest. In AdWords, an advertiser can ID airports for example, so if you want to reach business travelers, that is the place to go.